Vibrio cholerae is a bacterium that is known to cause cholera worldwide, this bacterium infects the small intestine and it will result in watery diarrhea and vomiting. Cholera has no age barrier as it affects both young and old. It is transmitted through drinking of fecally contaminated water, hands, and food. Cholera is highly contagious that is why its prevention is very necessary to prevent it outbreak. If cholera infected people are not promptly and adequately treated, the loss of large amounts of fluid and salts through diarrhea and vomiting can lead to severe dehydration and death within hours. Following these routes below will help to halt the outbreak of cholera in the society. Anything that comes in contact with cholera patient must be sterilized because they are already contaminated. The sanitizing could be with hot water or chlorine bleach. Every material like clothing, bedding, or hand that touches a cholera patience must be thoroughly cleaned and disinfected with chlorinated water or other effective antimicrobial agents. antibacterial treatment of general sewage by chlorine, ozone, ultraviolet light or other effective treatment before it goes into the waterways or underground water supplies helps avert undiagnosed patients from an unintentional distribution of the disease. Warnings about possible cholera contamination should be posted around contaminated water sources with directions on how to decontaminate the water (boiling, chlorination etc.) for possible use. All water used for drinking, washing, or cooking should be sterilized by any of the following: boiling, chlorination, ozone water treatment, ultraviolet light sterilization (e.g. 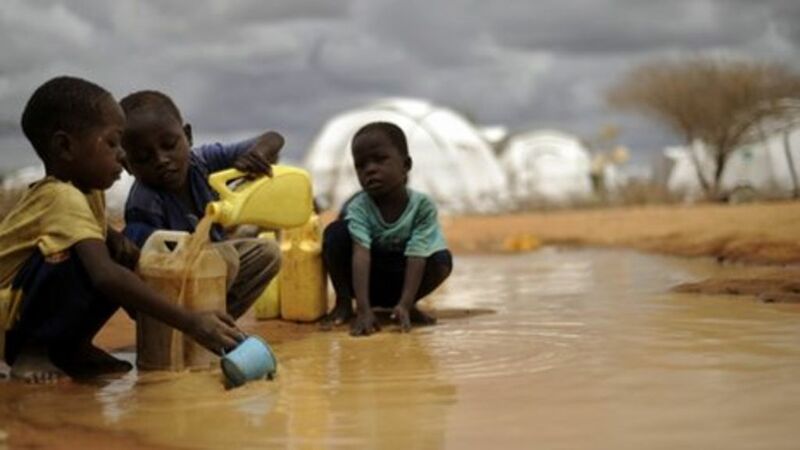 by solar water disinfection), or antimicrobial filtration in any area where cholera may be present. Chlorination and boiling are often the least expensive and most effective means of halting transmission. Public health education and adherence to appropriate sanitation practices are of primary importance to help prevent and control transmission of cholera and other diseases. Because of the loss of water and salt from the body, continuous eating and drinking treated water will speed up the recovery of normal intestine function. A mother should continue breastfeeding their child even when going for treatment. The primary treatment is oral rehydration therapy, typically with oral rehydration solution (ORS), to replace water and electrolytes. If this is not tolerated or does not provide advancement fast enough, intravenous fluids can be used as well. Antibacterial drugs are advantageous for those with severe disease to shorten its duration and severity.